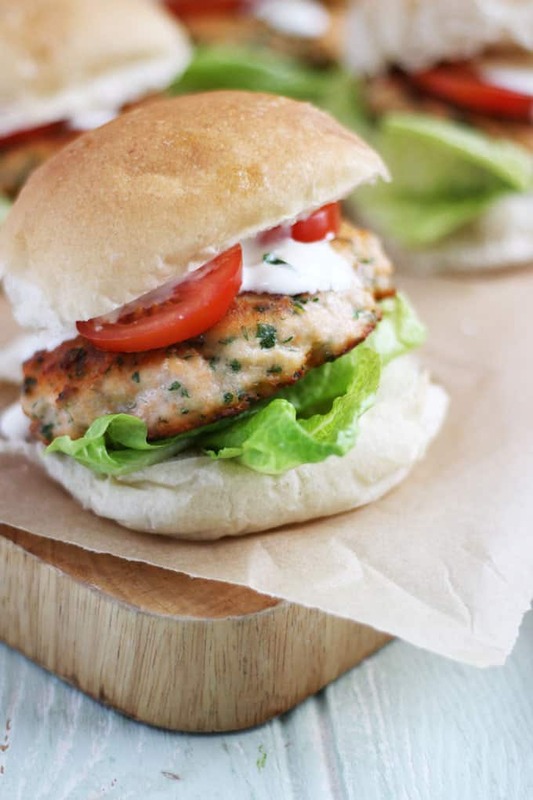 Easy homemade fresh salmon burgers. 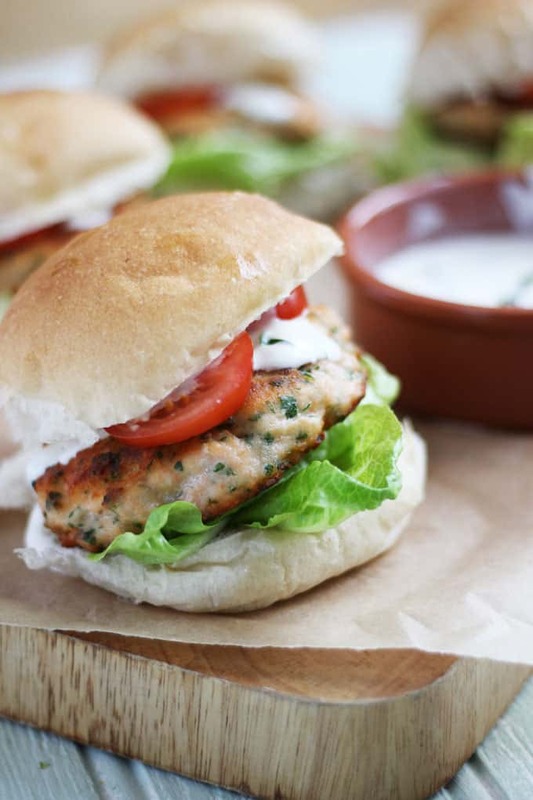 Delicious burgers, with a hint of curry flavour, a fantastic midweek meal. I LOVE burgers. I mean I really, really love burgers. Not just any old burger obviously. They have to be handmade, towering with the best and freshest toppings. Juicy and delicious. My hunt for the perfect burger has taken us far and wide, to street food stalls and chic restaurants and everywhere in between. But. Shocker. 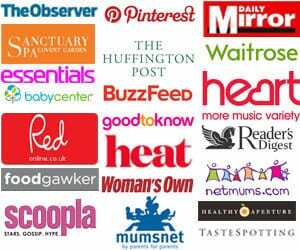 I’ve just realised that I’ve never blogged a burger recipe. Burgers have a bad name as being unhealthy, but I never really think of them like that. Made well and with good quality ingredients, they are just a patty in a sandwich, so there’s really no need for them to be unhealthy. As part of my 7 days of salmon 7 days with Norwegian salmon, I saw this recipe on their site and thought it would be a brilliant one to try. I would never normally think of using fish instead of meat in a burger and you know what they say, a change is as good as a rest. We were pleasantly surprised. These burgers were so easy to make in a food processor (this is the one I use and I’ve had it for 8 years and it’s still going strong). They will definitely be added to my family burger repertoire. Next time I think I’ll add some gherkins, perhaps even going crazy and put them into the burger batter. 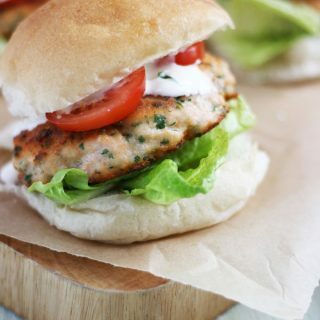 This is a great way to start kids eating fish, especially if they aren’t used to the texture, as here the salmon is blended to form the burger patty. Are you a burger fan? What’s your most loved burger combo? Make sure the pan is nice and hot before dolloping in the batter. This will help them to keep their shape. As in my video, you can leave out the chilli/salt for the family if you prefer. Add just enough milk to make a ‘dollop-able’ consistency, I did not use the full amount in the recipe. Check that the burgers are cooked through before serving. Cut the salmon into pieces and place in the food processor with the curry powder, cornflour, chilli, parsley and salt. Add the egg and just enough milk to make a thick batter. Pour the oil into a frying pan and heat. Dollop the mixture into four patties in the frying pan. Cook for about 8 - 10 minutes on each side until golden brown and cooked through. Meanwhile, for the tzatziki, grate the cucumber and garlic clove and mix with the natural yoghurt. 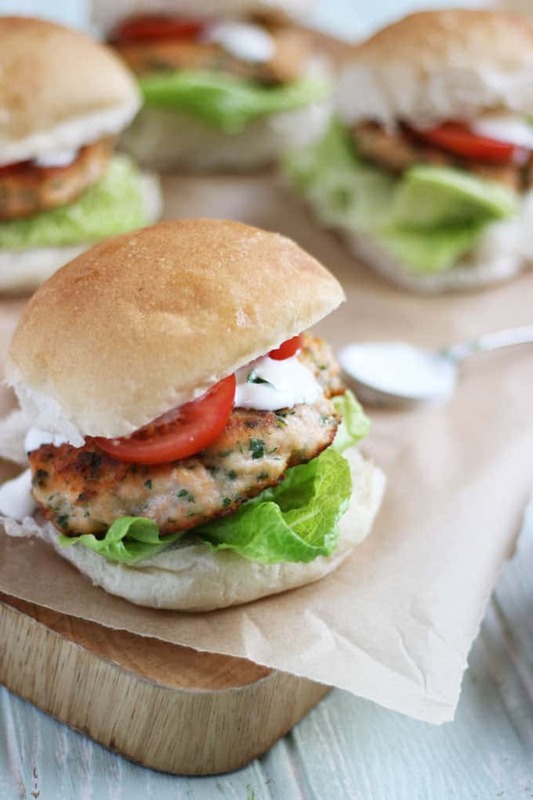 Serve in burger baps with lettuce and sliced tomatoes.